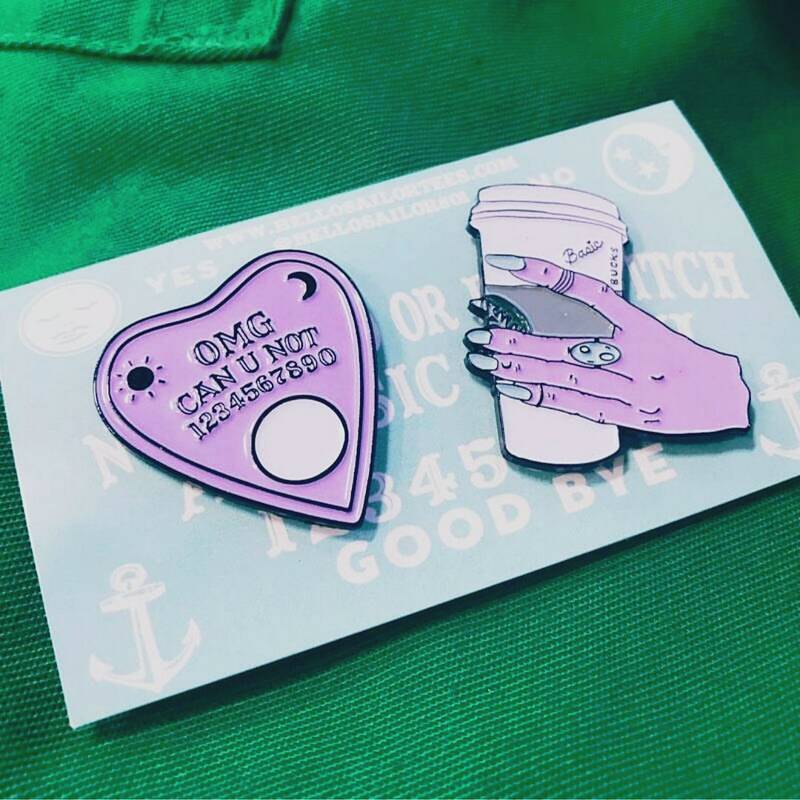 Basic Witch pin pack contains pastel purple goth pins. Soft enamel with black metal finish. Approx 1 1/2 " tall.